If you are familiar with the works of the late, great Louise ‘Miss Lou’ Bennett-Coverley, then you know about her Aunty Roachy, the dispenser of sage advice and commentary. Today, both Miss Lou and her famous relative are being celebrated at the Aunty Roachy Festival, taking place at the JCDC’s Independence Village at Ranny Williams Entertainment Centre. The literary festival will feature readings from various Jamaican authors, including A-dZiko Simba Gegele, Kellie Magnus, Roland Watson-Grant and Coleen Smith-Dennis; poetry from Lyrical Hotsteppers – Cherry Natural, Abbebe Payne and Britton Wright, as well as comedy and drama from Tony ‘Paleface’ Hendriks and Ricky Rowe. Also on the day’s agenda will be a ‘Link Up and Labrish’ discussion forum under the theme ‘I Am Who I Am, But Who Am I?’, moderated by Amina Blackwood-Meeks. The festival will end with a poetry reading, hosted by the Poet Laureate of Jamaica, Professor Mervyn Morris, and featuring Blackwood-Meeks and fellow storyteller Joan Andrea Hutchinson. Today, we take a look at Blackwood-Meeks, Hutchinson and a few other Jamaican poets and storytellers carrying on Miss Lou’s legacy. 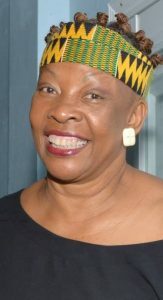 A writer, director, performer, and “custodian of the oral tradition,” she has been instrumental to the renaissance of traditional Caribbean storytelling. 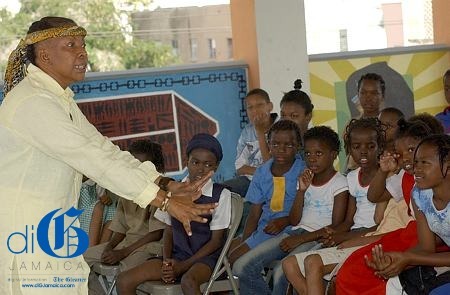 Spinning both traditional and contemporary folk tales, Blackwood-Meeks‘ rich, dramatic readings are beloved by Jamaicans both young and young-at-heart. She has travelled the world, sharing Jamaican culture with eager audiences. 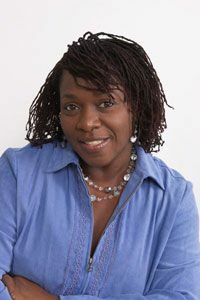 An accomplished actor, teacher, singer, motivational speaker, poet and storyteller, Hutchinson is internationally celebrated for her poems, monologues, stories and performances, written and done in Jamaican Creole (JC). This multi-faceted cultural exponent has done extensive work in preserving the Jamaican-language heritage in ways only she can. And her dynamic repertoire is replete with the comedic and dramatic slices of Jamaican life. This is hardly surprising since her literary work is greatly influenced by none other than the late bastion of the Jamaican language, Louise Bennett-Coverley. Previous articleCelebrate With Us This August!